Keep rolled items at your fingertips with these economical and lightweight tubular steel roll files. They move easily on four dual-wheel swivel casters, two of which lock. A light gray frame with chrome-plated grids adapts to any decor. Square tube design provides easy access to and removal of drawings, posters, and plans. 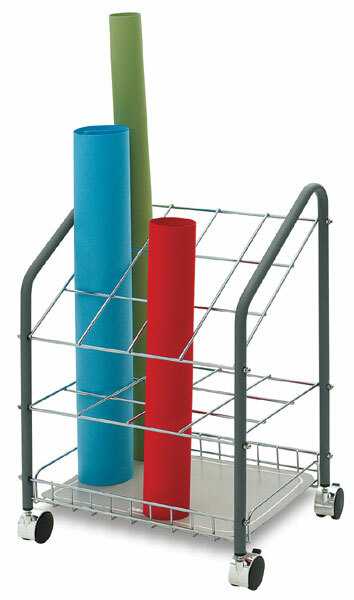 The slanted top design provides easy access to rolled files. The bottom dust guard protects rolled items.